Cleo is an east bay native who brings her passion for the natural world into her paintings. She works outside and from life as much as possible and is drawn to just about any subject if the light is hitting it right. Cleo is particularly interested in representing how people use outdoor spaces and the intersection of urban and wild landscapes. 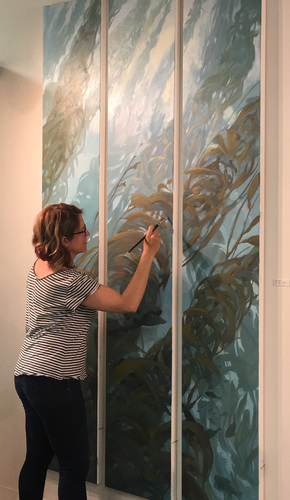 With degrees in marine biology and science illustration, she has also worked on many large scale murals, illustrations and sculptures for natural science institutions.